Zepp has mastered golf, tennis and baseball, and now has eyes on the biggest prize in sport - football (or soccer, if you're that way inclined). The San Jose based sports tracking company has just announced Zepp Play Soccer. 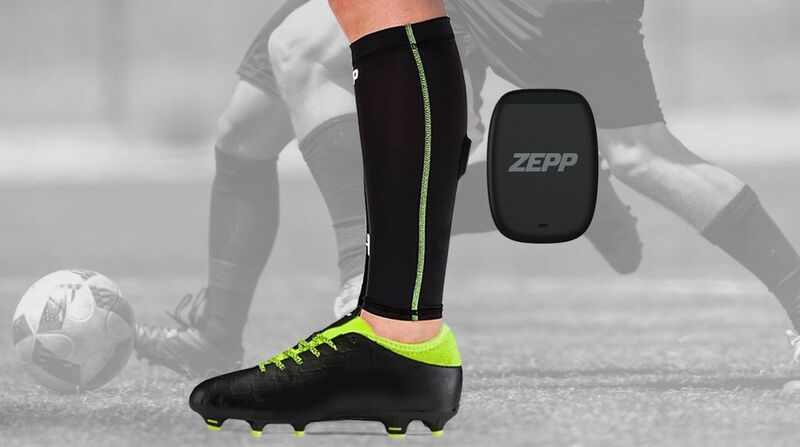 Zepp Play Soccer is a module that slips into a calf sleeve, so can easily be worn inside a pair of footie socks. Like Zepp Labs products we've seen before, the sensor offers real time stats direct on a paired smartphone or tablet. Designed to be worn on the dominant leg of a player, metrics tracked include distance covered, sprints, average speed, kicks (passes and shots differentiated by kicking speed) and shot conversion rates. This info is all presented in a timeline for the wearer to analyse at the end of the match - and there are multiplayer options too, whereby a team can hook up their Zepp sensors or stats from the opposition can be viewed. A spectator on the sidelines can also record video clips from within the app and tag events such as goals or yellow cards; all of which can be shared socially or viewed in the overall timeline. New golf and baseball wearable brings personal coaching to the FORE! It's not the real-time coaching setup we've seen from Zepp in the past but, at $99.99, it's a pretty affordable way for players to get some extra insights into their game. Jason Fass started Zepp in his garage in 2012 and the company now ships over over 1,000 sensors every day. Last year Fas told us, "At some point in the future, every piece of equipment will be digitally connected." Zepp Play Soccer is certainly an exciting step towards that prospect. Weighing less than 7g and with 40 hours of battery life, it's not going to be too much of an extra hassle for a player to get up and running with either. As mentioned, it's $99.99 and you can buy it direct from Zepp now.